A Visit to Femme Makeovers! 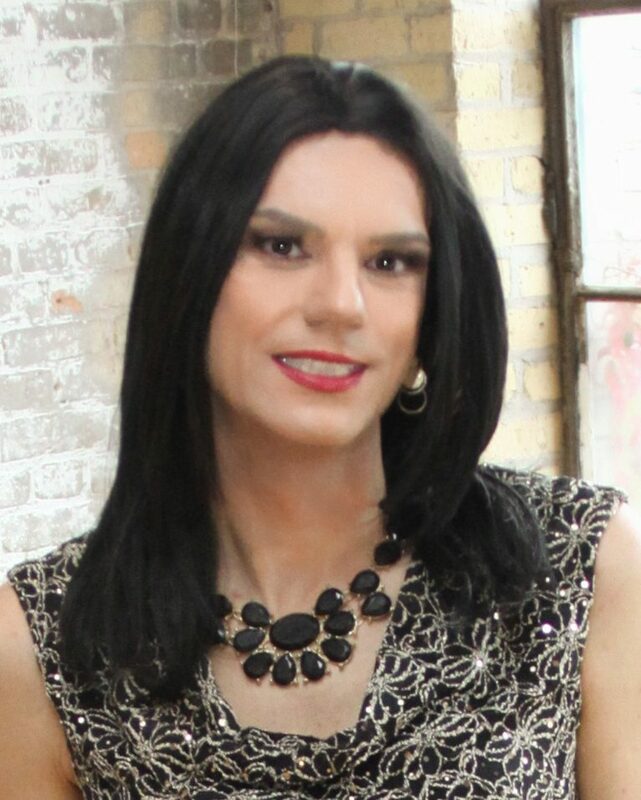 The MN T-Girls have had a long and wonderful relationship with Corrie Dubay, the owner and artist of Femme Makeovers, an amazing gender transformation studio in Saint Paul. The group has had makeup demonstrations and many of us have had individual makeup lessons with her as well. I myself had one last year and it was one of the best things I’ve ever done. Up until last fall, Corrie ran a makeup store in Uptown, but she is now focusing on makeovers and gender transformations and yesterday the MN T-Girls visited her newly renovated studio space for a makeup demonstration. Corrie demonstrated different techniques such as beard cover, eye shadow and contouring as well as how to properly use lip liner, apply false eyelashes and how to make your eyebrows pop. There were close to twenty of us hanging onto Corrie’s every word as she answered our questions and recommended products. We also talked about out our own experiences whether it was about manicures or shaving. It was a wonderful way to spend an afternoon. If you want to learn from the best, please visit Corrie’s website and book a private lesson with her. Corrie also has a newsletter with different techniques and are archived here with her permission. Thank you to Corrie for sending time with us! sounds like good times for all You, MN Ladies. You ladies are so lucky to have Corrie give you such wonderful advice and her time to show you how to improve your makeup skills. And her tips are perfect for those of us not in MN. Lovely smiling faces on all of you! To look most “personal” feminim; Golden rules in order. 1. Dress within 10 years of actual age. 2. The older you are, the lighter the hair piece and try to use wavy to curly wigs or styles unless you have very narrow face. 3. Keep the wig back, women have higher hair-lines and don’t always go massive black eyebrows. Throw a brushing of light color on top. Only eyeliner bottom out side half and three quarter top. Always use mascara 3/4 top and outside half on bottom, if any. 4. Don’t stand like manikins just try keeping feet together, this will send a message that you are not socially different, sorry no see me, see me if your goall is to be accepted in public. 5. Arms straight down, turn outward or crossed under breast-line. 6. Dress for event/outing the same as a female your age. 7. Don’t wear male hardware when out in public crossdresser. 8. Cover leg scars with make-up prior to leggings, all type this includes knee caps. Natural tendencies of people to identify gender, first by height, then neck, wrist and knee/elbows. 9. Summer time, show your shoulders, it soften your phisque. Try it you will be surprised. thin them with 80 style female shoulder pads. Creates shape too. 11. To wear or not to wear the dreaded corset shapers. Yeas if reasonable to your build, not trying to look like am23 year old beach model. Keep it comfortable and enjoy your evening or day. If no corset then add shape to hip or rear, maybe both. If you purchase on line then I recommend that yo cut the total inside portion and crotch off the shaper. It will still hang correctly if not better for each person individually, but in the bathroom if becomes most convient. Though I’m not able to be part of the mn t-gurl group I will alway keep you on my mind. Don’t leave your faith to be who God created you to be. He can be the best girlfriend one can ever ask for. His plan is for you to work your life your way. It’s your free will and His grace.